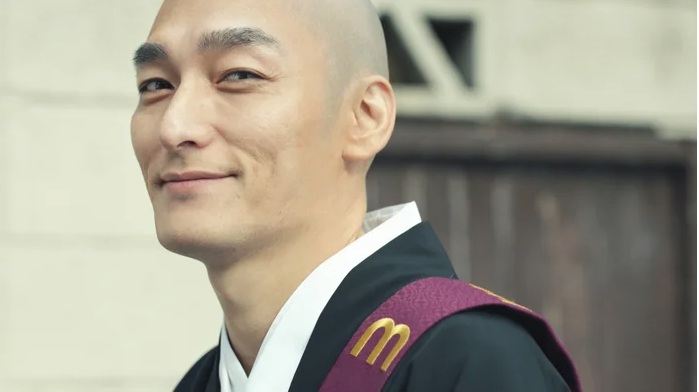 Talent Tsuyoshi Kusanagi is sporting a shaved head in a brand new CM for Mercari. Mercari is a popular Japanese e-commerce company, which is also available in the United States and the United Kingdom. They are perhaps most famous for their marketplace mobile app, allowing users to sell whatever they wish. Mercari has become the very first company in Japan to reach “Unicorn” status, which is awarded to startup companies valued at over $1 billion USD. In the CM Kusanagi plays a monk showing off his brand new bike. He explains all the amazing things you’re able to purchase on the Mercari app. Check it out below! The CM will begin to air nationwide across Japan on January 5th. Kusanagi is also the star of another new CM, this time he’s joined by his former bandmates Goro Inagaki and Shingo Katori. The trio are responsible for promoting the Dragon Quest mobile game. They’re joined by many recognizable characters and monsters from the series.